There are some common psychic scams out there that can bring some strong negativity into your life. It is important to be able to spot these scams and con artists before they take away your money and sense of wellbeing. Keep in mind that there are plenty of legitimate, skilled, and good hearted people in the psychic community. These individuals have spent years strengthening their skills and will provide you with the service you are looking for. However, there are also some unscrupulous practitioners who will take advantage of you. One of the most common scams is when a psychic tells you there is a curse or bad luck spell placed upon you. They may also give you a brief psychic reading, vaguely telling you that the problems in your life have taken hold because of this spell or curse. It is easy to fall for such a scam. Many people want to believe that the negativity in their life is because of something that has been out of their control but can also be fixed. The solution is the final part of the scam. The psychic will tell the client that they can reverse or fix this curse- for a fee of course. A pretty hefty sum is usually required, and the psychic will often schedule a follow up appointment. This appointment is so they can make sure the curse is completely gone. Usually they will then ask for more money, stating that the curse or spell is too strong and another session is needed to be rid of it. Any mention of a bad luck spell, curse, or dark energy should be considered red flags. These are actually very uncommon in real life. If you really are cursed, there are plenty of things a legit psychic will tell you to do yourself to fix the problem. It will not cost you thousands for her/his services. The Internet makes it easy for scammers to try and take advantage of a larger group of people at one time. One of the most common ways psychic scammers do this is with an email scam. An email will be sent out providing a very generic reading. Even though the reading is generic, it is still well worded and believable. However, because the content is so vague, the reading would apply to nearly anyone. The next step is to sign you up to a website, usually for a high monthly fee, in order for you to get the entire reading. Do your research before committing to a psychic online. Look them up and see what you can find. Do not primarily rely on social networking sites. “Likes” can be bought, and smart marketing can make a fraud look very popular and well received. It is best to find someone by word of mouth. But if this isn’t possible, do your research with an open mind. Ask yourself how you feel about this person and trust your gut instincts. Spend some time reading their blogs and posts to get a sense of who they are. Read the testimonials. However, these can easily be faked, so read them with a critical eye. Also, look into how your reading will be delivered. A simple email is not very professional and should raise a red flag. A PDF file is more common among professionals. A phone call or video call is usually more beneficial for you. If it is going to be done via email or PDF, see if you are able to ask follow up questions in case something doesn’t make sense to you. A true psychic will not promise you something that is unethical or unrealistic. There are certain things everyone wants, like love, a good career, or perfect health. If any of these things are promised to you, then you are dealing with someone who is trying to scam you. One of the more common false promises is that of a cure. 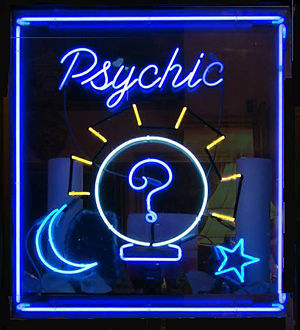 The psychic will promise to cure you of your ailments and return you to perfect health- for a price. These are promises that even professional doctors and healthcare professionals wouldn’t make. The cost is usually high, and the process often gets dragged out, with you handing over more and more money for follow up sessions. Another common false promise is for love or good fortune. A psychic cannot alter such life events for you. 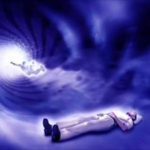 A legit psychic will explain the law of attraction and give you some advice for improving your own life. However, they will never promise to improve your career or love life for you. When it comes to psychics, make sure you trust your instincts and do your research. You can find someone who will legitimately help you along your path. Watch for these warning signs and protect yourself. What Are Psychic Detectives? Are They Real?